This is the website for Clapham Community and will keep you up to date with all the Council and village news. If you have any queries please email the Clerk on claphampc@btinternet.com or telephone 01234 346366. The Parish Church of Clapham was rebuilt in 1861 of native limestone, with the exception of the tower, by the late Sir G. Gilbert Scott R.A. It consists of a chancel, nave, aisles, and a tower 81 feet high, without buttresses. The tower is reported to be one of the best and most remarkable of the remaining examples of Early Saxon work in the country. The tower houses 5 bells and was built over two date periods, and is surmounted by narrow semi-circular-headed deeply splayed openings. The West Front entrance is by a semi-circular-headed doorway, 4ft. wide, entirely destitute of moulding. The East Front entrance is via a plain semi-circular arch with abacus. 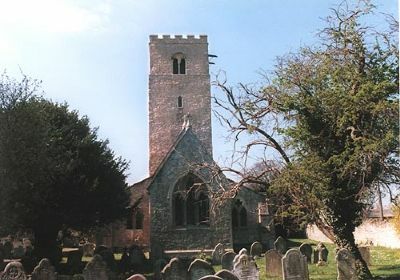 The walls of the church taper from 5 foot at the base, in about 1630 the walls were embattled and a new roof erected, but this was replaced by another in 1897.There are five stained windows to the Dawson family, and a monument to Thomas Taylor esq.